You know that early morning moment when you're conditioning your hair and your fingers run out of hair sooner than you thought. Then you remember that you have just been to the salon and three inches of your hair is now gone. That was me this morning. It also dawned on me that I had also had my hair colored, which left me excited for styling my hair today. 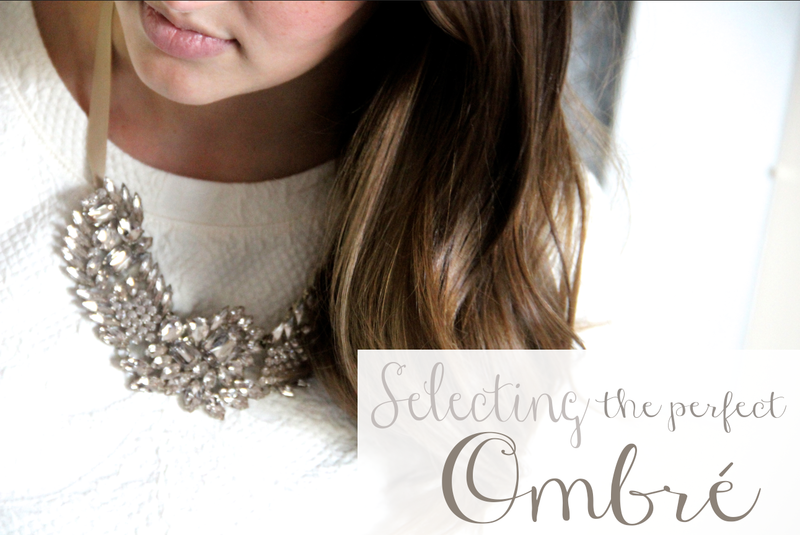 So, I thought I'd share how I go about selecting my perfect ombré. I fell in love with ombré coloring a little over a year ago. As someone who had never professionally had her hair dyed I was pretty reluctant to have my hair colored. The disasters that resulted from boxed color jobs had slightly ruined me. But, I took the plunge June 2013 and went with a simple ombré that brought out the natural highlights my hair was already sporting from time in the sun. It hooked me. 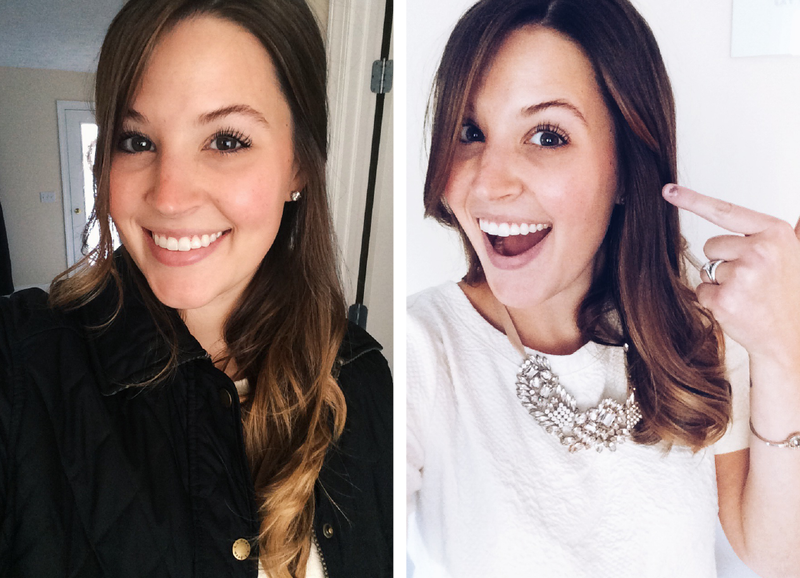 So I felt a bit braver this past March and decided to lighten things up a bit for the spring and summer months, making more of a noticeable difference in my hair. 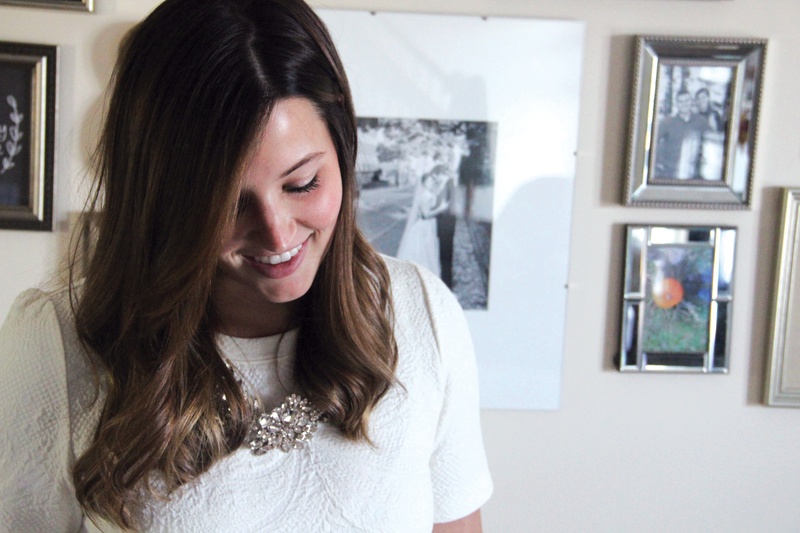 I walked out of the salon that day with a blonde ombré swirled throughout the ends of my hair. That one took me awhile to fully embrace, because this brunette has never been anywhere close to being a blonde. But, it grew on me and I loved having a visible contrast in my hair. They say the third time is a charm, so I once again went for another round of ombré coloring yesterday to spruce up my look. Make it more fall, more appropriate for the next two seasons. This is the color I have wanted to try from the beginning. It's what I've eyed, but have been too nervous to do. Shades of chestnut, that was my goal. And that ladies, is the first step toward choosing an ombré. You have to know the color combo you want to go with. Whether it be blonde, red, brunette, etc, that's where you start. Then you must research. Find a photo that accurately shows the 'look' you are going for. This is going to be the biggest help when working with your hair stylist. Remember this post from a while ago? I went with the dark brown and warm chestnut that Nikki Reed is sporting. Pinterest, is your friend, ladies. And that brings me to the next and MOST important part, find an exceptional hair stylist. Not only one that is a color extraordinaire, but one that is happy to talk to you about what you're looking for, explain the process, and make knowledgeable suggestions. 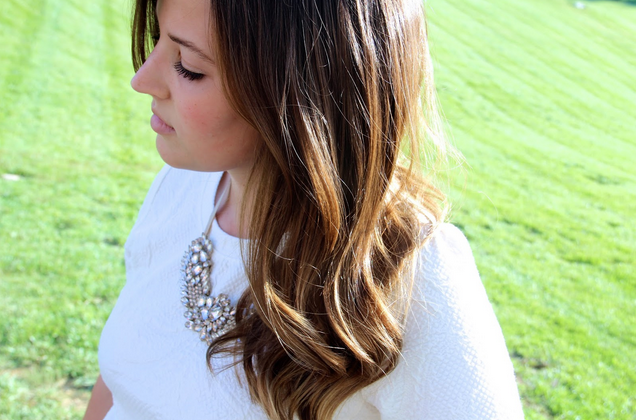 This is truly the key to getting an ombré you're going to love. Fortunate for me, I found Charmaine and she does wonders!